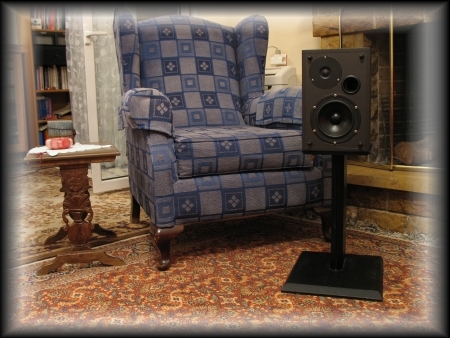 - Our new two-way speakers, the Nimiel II, Arcos II and Jairo, finally receive their own new sections in the greek part of this website..
- The JAIRO X version (which is still under design) will bear Excel drivers..
- A new preamplifier based on the famous OPA627 IC has just been released..
- BABYBASS II is a new small two-way speaker kit powered by SEAS drivers that still undergoes design..
All MTZ Audio speaker and amplifier projects are sold as a DIY kit, i.e.as a selection of components. 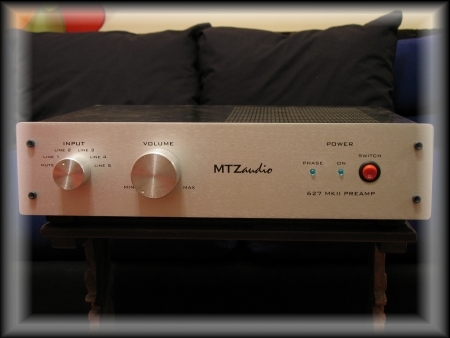 MTZ Audio is neither a speaker nor an amplifier manufacturer. 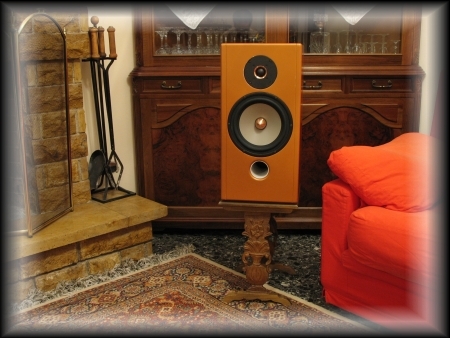 - Nimiel II, Arcos II, Jairo speaker projects / greek section only. - Our new two-way MMT speaker, namely the Nimiel II, finally receives its own new section in the greek part of this website..
- The new ARCOS X section in the english-spoken part of this website is finished..
- The retail price of our two-way speaker project BasicBass has been increased to 383 euros (incl. of VAT) effective from March 1st 2006. - New retail prices apply for several SEAS drivers since March 7th 2006. 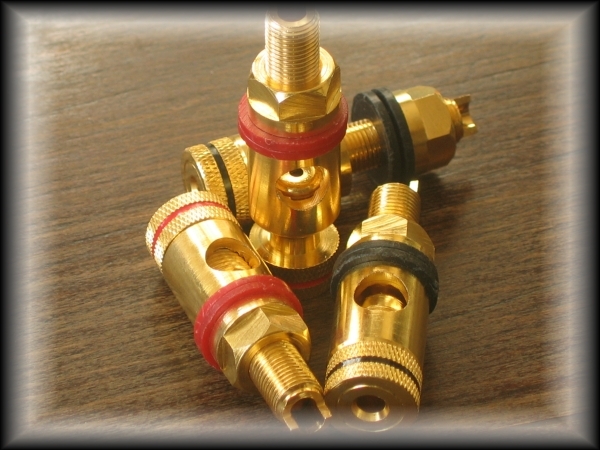 SEAS introduces new products and logos.. More on this at the following link..
- After an intensive market search, we managed to trace and get in our stock some fine gold-plated binding posts (chassis-mount) for heavy duty / high quality applications. More on this at the following link..
- Our top two-way ARCOS X speaker finally receives its own new section in the greek part of this this website..
- New Year, new projects ! Our top two-way ARCOS X speaker is already distributed and its drawings are about to be released on this website..
NIMIEL ii and ARCOS ii speakers are under design procedure ; they are expected to be released on late January or early February..
- JJ TESLA has been known for years for its involvement in valve audio.. Have a look on our new section on this serious manufacturer. 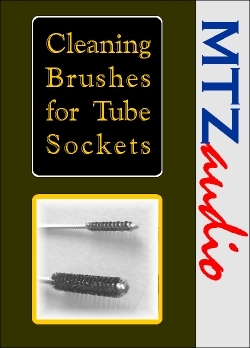 - 'Cleaning Brushes for Tube Sockets' is about to become an MTZ audio 'best-buy' product. If you operate a valve amplifier it might be a good idea to have a close look..
- Also if you like making your own DIY projects and using a soldering iron, our ' Felder' high quality solder is something more than a good choice. 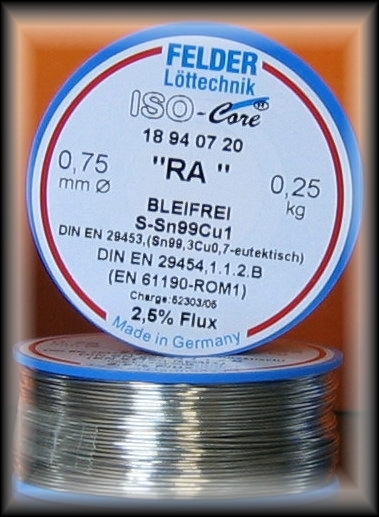 If you contact us we will be happy to give you more than one reasons to give up typical 'amateur' solder and enhance all your critical 'earth' connections..
An improvement of several dozens of milliohms might seem unimportant to you.. 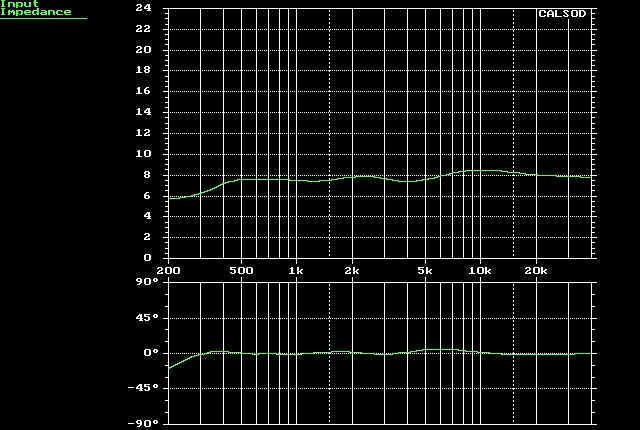 But every time your power supply rectifier diodes switch on to pour several Amperes to your filter capacitors (and from there to your speakers), you will not only measure the difference in voltage regulation but hear it as well ! There are dozens of good amplifier schematics ensuring high power and minimal harmonic distortion.. yet none will deliver an exceptional damping factor when you are done implementing it if you have not gained an expertise in making adequate ground lines. Soldering is an art itself..
After a short break for summer holidays we are back ready to launch our top floor standing two-way speaker project, ARCOS X. Listening sessions as well as fine tuning have already begun. Having understood that most software on low frequency speaker simulation ignore mutual acoustic coupling between multiple woofer drivers as well as that between driver and port, we are ready to include this feature in our LFA software..We expect to launch new version 5.5 on December..
A new capacitors' section presenting Nippon and United Chemi-Con product series has just been added here. ARCOS X, our newly developed two way speaker kit is about to conclude its design.. SEAS Excel drivers ensure an astonishing result ! BasicBass speaker kits available once again.. Those interested in arranging a listening session can freely use our phone numbers..
MTZ audio introduces a new product for tube amplifier users : Tube Socket Brushes..
Apart from several interesting and well-crafted DIY projects, one can also find danish hifi discussion fora in his 'links' webpage section.. The section on 'ELNA for Audio' capacitors has just been launched. It also has downloadable datasheets. Have a look..
New price for the 5W Kiwame resistors..
A new library section has been created. SEAS drivers' datasheets are linked to downloadable PDF files. 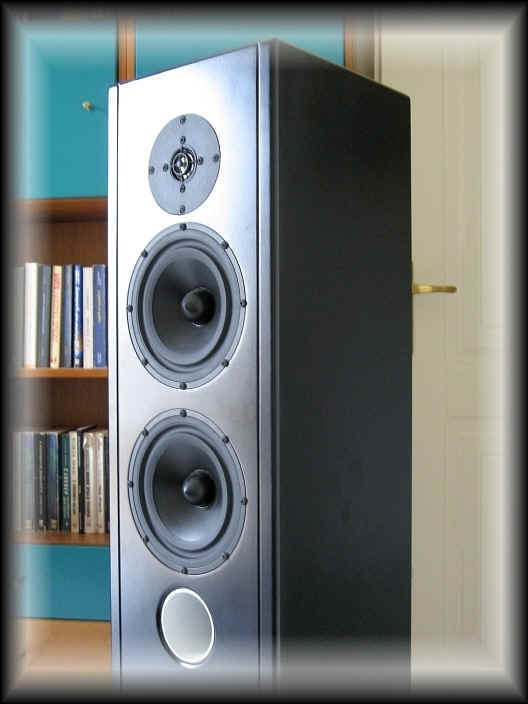 SEAS driver section has just been updated..
Speaker Project ARCOS X has just got its fantastic 'copper-finish' enclosures !! Really worths seeing them..
Downloadable enclosure drawings and assembly instruction document now available in BasicBass speaker kit section..
MTZ Audio proudly announces its very first product, the tube socket brush' set. More on this soon..
SCR capacitors' pricelist changed due to manuf.pricelist update on April. Related section now completed. Speaker Projects ARCOS II and ARCOS X have just begun ! Enclosure design completed and a sample pair of cabinets are on their way to our lab..
BasicBass speaker kit available on its own section..
BasicBass speaker kit is running out of driver stock ! We expect a new delivery from Norway.. Still open for listening sessions at the usual phone number 210-4538655..
BasicBass speaker kit project is still open for evaluation ! Members of the greek audio-video forum 'www.avforum.gr' give the first review. Felder high quality solder is now available ! 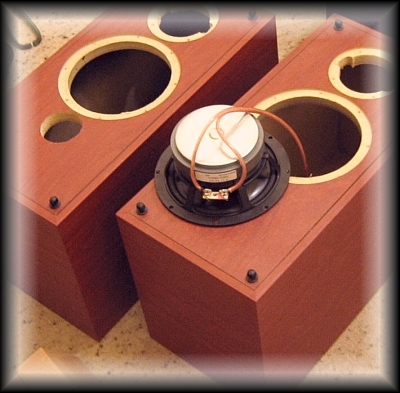 Ring for details..
BasicBass speaker kit project is now open for listening sessions ! BasicBass' design just finished. Intensive listening sessions and last-minute fine tuning will produce the final configuration in less than a week's time. Despite its price, BasicBass will certainly prove amplifier-friendly.. See for yourself ! Hopefully this Sunday we expect 'BasicBass' to conclude its final lab measurements a fact that will let us develop its crossover network and start its presentation in this site as well its promotion and sales. We receive a lot of feedback from friends and customers, related to the selection of quality crossover components without breaking our promised low-budget retail price of 320 euros approx. It is not that easy but..
Another speaker project based on many 'AVforum' DIYer efforts, is about to be launched : 'LINIA', a two-way, M-M-T configuration with ScanSpeak drivers has just entered MTZ Audio lab.. More on this later on.. Please note that MTZ Audio does not sell 'LINIA' or its parts. 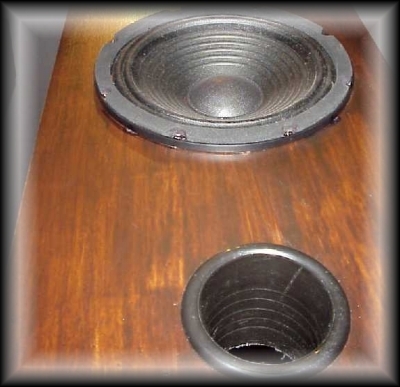 This speaker projects has actually been designed and built by a group of DIYers for fun. The "BasicBass" project of MTZ Audio has just began..
elegant 19mm-MDF enclosure in cherrywood-like or silver-grey vinyl finish. complete kit inclusive of screws, absorbing material, SEAS drivers, crossover components, dust frame assembled with black cloth, vent tube and mouth, printed lab report.. Very low price somewhere above 320 euros a pair including v.a.t. ..more on this, in the next few days..
After several months of collaboration between DIYers of the www.avforum.gr and MTZ Audio, the small-sized 'BABYBASS' speaker project finally reached its end. 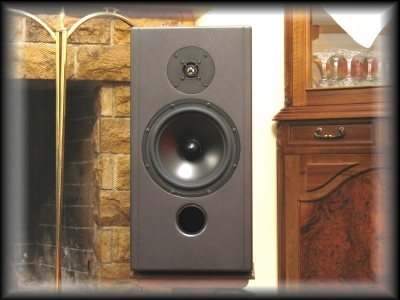 One 5'' Peerless woofer and a 1'' chambered alum.dome VIFA tweeter gave an unexpected pleasure to all its participants. 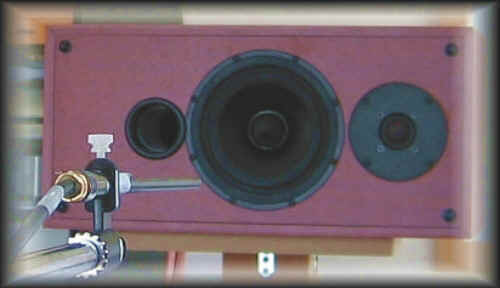 Please note that MTZ Audio does not sell BABYBASS which was actually designed and built by a group of DIYers for fun ! MTZ Audio develops four speaker DIY projects with SEAS drivers. Preliminary results for two of them are expected on early April. Another small-sized DIY speaker-bomb is about to be born in the next few weeks. Its features will be directly drawn from the BABYBASS project experience and its extremely low cost will surprise us all ! Audiophile Projects : Preamplifier OPA627, Power Amp, JAIRO X, BABYBASS II. 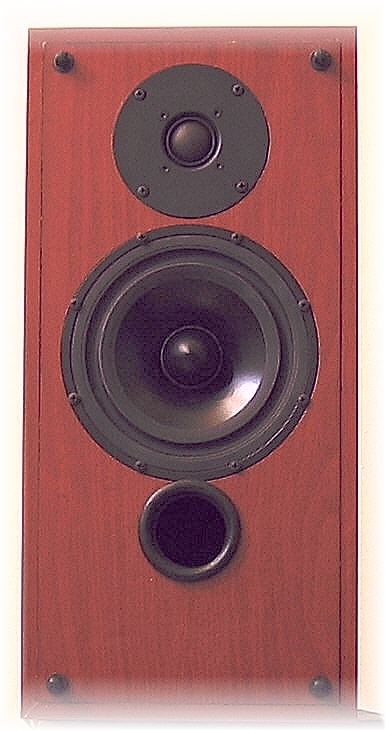 Audiophile Projects : JAIRO, NIMIEL II, ARCOS II in english.